With Pittsburgh wondering exactly what happened to the snowmageddon they were so eagerly looking forward to this weekend, local station WTAE said it was switching up its forecasting method in a bid to be more accurate. Meteorologist Ashley DeNardo said it was the best way she knew to predict the weather at this point, with double sixes meaning it’s going to be just as dire as every Pittsburgh forecaster has predicted. Sensing that WTAE was ahead of the game in terms of honest forecasting, WPXI has reportedly fixed up an old prop from Wheel of Fortune that it will be using for its 11pm broadcast. Asked if they had any comment about their plans for the 11pm news tonight, KDKA said it was just going to randomly pick a forecast from its 70 year history of broadcasting. 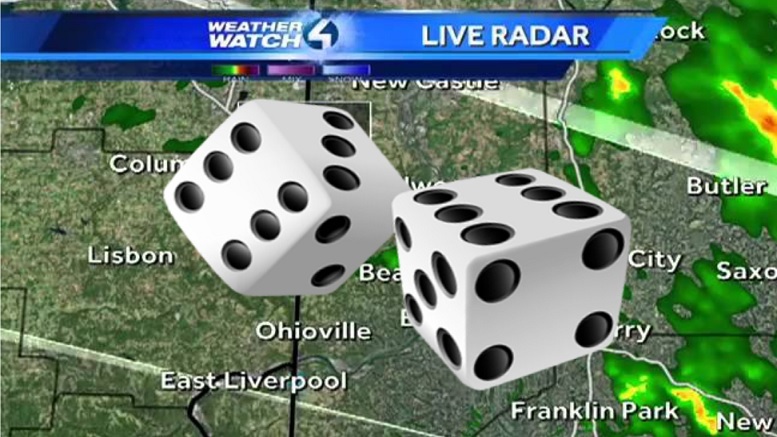 Be the first to comment on "WTAE To Let Pair Of Dice Forecast The Weather Tonight"